Here 6 Parishes joined to become one. The clients wanted the window to express this movement towards unity, and draw them towards the Spirit, like incense rising to the heavens. 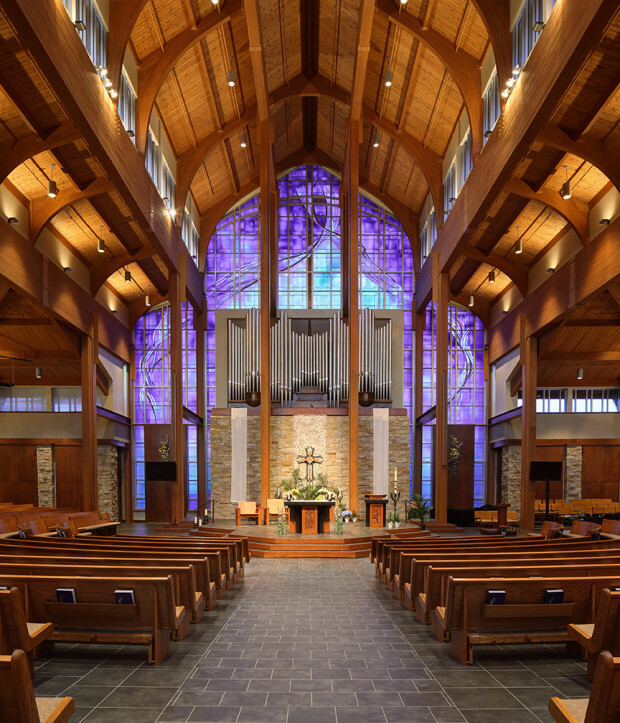 The window spans a width of 60 feet and a height of 65 feet from floor to ceiling. 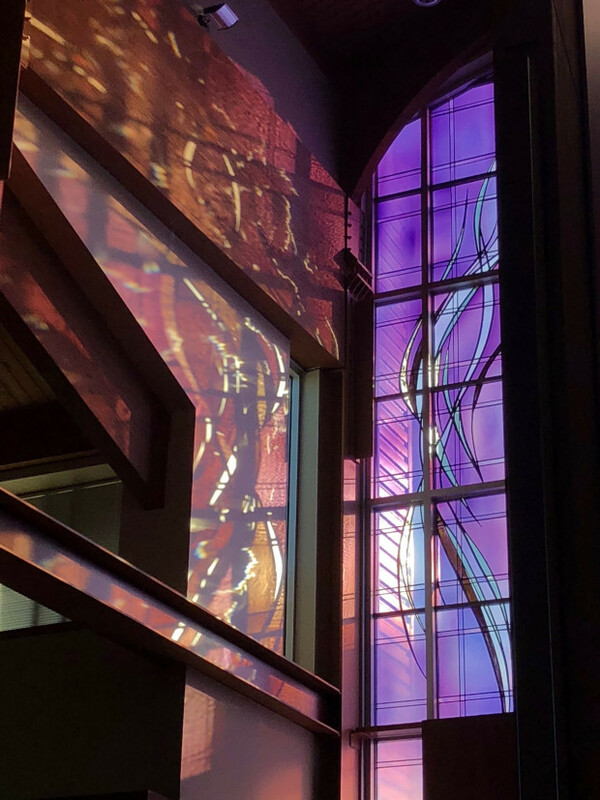 This very large “canvas” faces east, casting the bright morning sun into the congregation’s eyes. Not only did the window need to encompass the intended meaning and identity the parishioners desired, it also had to diffuse the sun’s strong glare. They wanted the art glass to draw them into deep reflection, that the colors would illuminate, not blind, and bring warmth into their long winters. Triple-flashed mouth blown glass, painted and fired 24 karat gold luster, and 100's of handmade bevels project, diffuse, and transmit light and color into the space. There were numerous design meetings with the arts committee, the liturgical consultant, and the architect; then later with the whole parish. 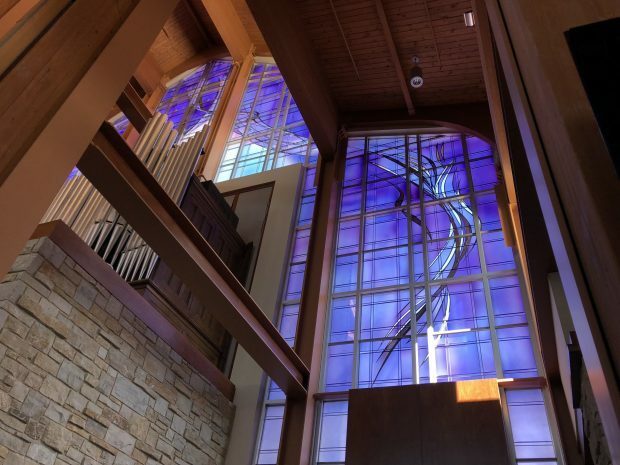 Over time, the collaboration of all the players yielded a design that integrated my style with the dynamic church architecture and translated their needs and desires into the art glass. 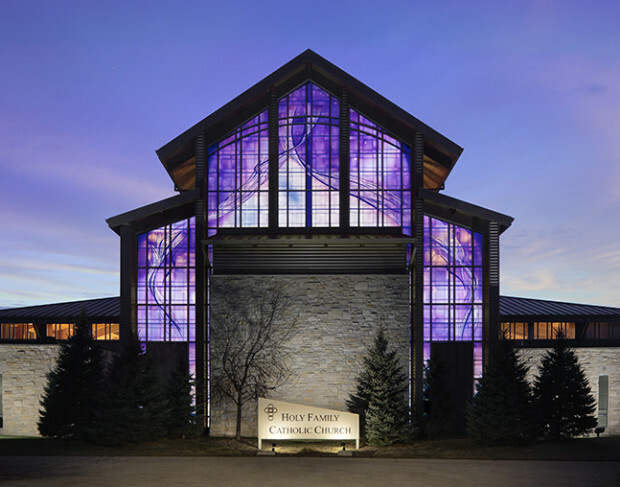 The client wanted the window to create an atmosphere of prayer rather than tell a story. 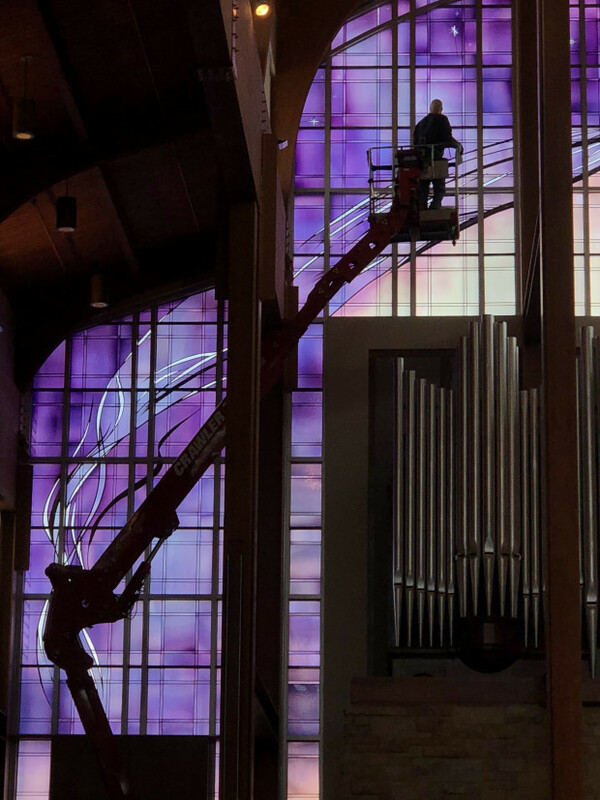 Upon completion, many parishioners mentioned that the window is like a curtain of grand scale opening to a much deeper universe, within which each person sees something very different.